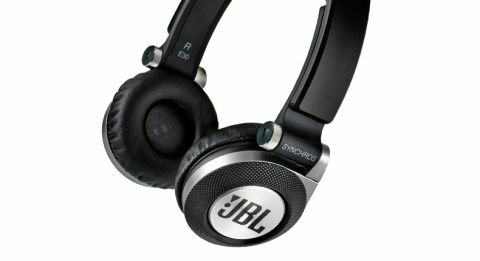 JBL Synchros E30 review | What Hi-Fi? Performance and comfort should go hand in hand with headphones. The JBL Synchros E30s have every intention of being the perfect portable pair of cans, but the uncomfortably hard fit doesn’t do them any favours. There’s ample cushioning on the earcups and headband, but the vice-like grip is our main gripe. The headphones clamp down on our ears far too hard and the initial intense pressure doesn’t let up, even after a couple of days. There’s no scope for adjusting the angle of the earcups – a design flaw that doesn’t take into account the various shapes of people’s heads. We can’t imagine keeping them on for extended periods. It’s a shame they’re uncomfortable to wear, because they’re tough and durable. A folding mechanism lets the earcups collapse inwards for easy storage, making them compact enough to carry around in a bag. The E30s fare better when it comes to music. Play Blackstreet’s No Diggity and the E30s charge along with a nimble-footed and detailed presentation. The upbeat bassline keeps the rhythm lively, although there’s a bit too much oomph in the low end to be entirely convincing. The blaring trumpets sparkle and bite in Quincy Jones’s Blues In The Night. There’s a brightness to the very edge of the treble that rears its head when the saxophone solo really gets going – it’s exciting, but it comes at the cost of a refined or elegant top end. If you’re a heavy metal fan, you’ll find the E30s don’t take too kindly to power vocals – Dio’s The Last In Line sounds brash and coarse just when you want to start punching the air to Ronnie Dio’s hair-raising singing. We could do with richer layers of detail fleshing out each tautly pulled note. Jim Croce’s melodic Time In A Bottle could be more inviting and engaging, too. The E30s need to punch deeper to dig out the nuances and subtleties in the warm, fluid vocals. A more capable, revealing pair of headphones, such as the Beyerdynamic DTX 501 ps, or AKG Y50s show just how much subtler, more dynamic and punchier the sound could be. The E30s are a little on the lean side. They’re great for a snappy rhythm, but not so great for getting fully immersed and lost in the melodic ebb and flow of music (which the E30s aren’t entirely generous with). A patchy performance from JBL, then. The top end blares a bit too sharply for our liking, and the lively overall sound needs a large helping of rich detail to get us fully engaged with the music. The fiercely hard grip of these cans is the bigger stumbling block. It wouldn’t hurt to give the E30s a chance, but keep in mind there are countless rivals offering a more comfortable listening experience.